Early this month, we highlighted in our September Newsletter and on social media (see sidebar to follow us on Facebook, Twitter and Google+) the ‘fire borrowing’ that is crippling the Forest Service, and the Congressional legislation to fix the problem. Much has already been written about this deeply flawed policy (see the above links) but I decided to contact some forestry experts – Bob Williams, Certified Forester and President of Pine Creek Forestry, LLC, and Jim Petersen, Editor in Chief of Evergreen Magazine – to learn more. “This is a no brainer – the current situation robs money from the management (of forests) that can reduce the need to spend the money (on firefighting) in the first place!” says Williams. Unfortunately, neither Williams nor Petersen think the Wildlife Disaster Funding Act, is going anywhere in Congress. The Act would allow the Forest Service to tap the same $2.7 billion disaster relief fund FEMA uses for hurricanes and other natural disasters when firefighting costs exceed 70 percent of the 10 year average. “I helped create the Healthy Forests Restoration Act, but there hasn’t been much (legislative) success since,” says Petersen. He believes that changes to ‘fire borrowing’ and how we manage wildfires more generally need to go further than the Wildlife Disaster Funding Act. He has a more intimate knowledge of the 1910 wildfire than most. His grandparents lived through it. 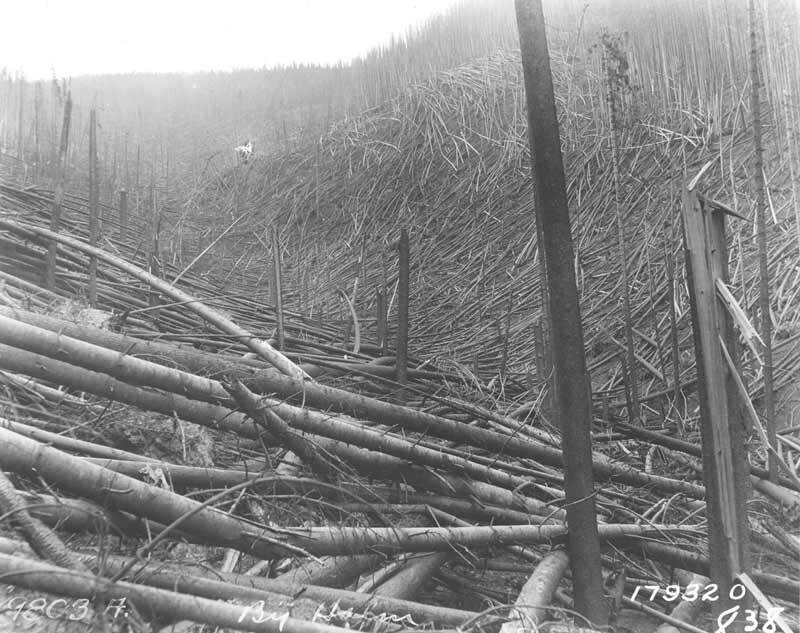 “I remember my grandmother used to regale us with stories about that fire; how my grandfather fought to save the timber mill from burning,” Petersen recalls. To this point, Petersen adds: “Wildfires are no longer just a forest health issue; they’re a public health issue.” Another reason wildfires need to be the responsibility of FEMA. If wildfires were under the purview of FEMA, the Forest Service would have more money available for important forest research and management, both of which are critical to maintaining healthy forests and reducing the risk of wildfires. And the Forest Service desperately needs more money for both. A 2002 National Academy of Sciences report noted that the Forest Service “has experienced a 46 percent decrease in the number of scientists in the last 15 years, from 985 in 1985 to 537 in 1999.” Since then, the number of Forest Service scientists has decreased even more, to 498 in 2008. The number of professional forest scientists in the private sector has also decreased in the same time period. Until the 1980s, the bulk of the U.S.’s private forests were owned by 15 major timber companies. Understanding the link between forest sustainability and the sustainability of their businesses, these companies had professional forest scientists on staff. Now, most of those timber companies are gone. They have been replaced by real estate investment trusts (REITs) and timber investment management organizations (TIMOs). REITs and TIMOs look to profit from buying and selling land – forest management is a lesser concern. Since the 1980s, environmental concerns about forests have also become a lesser concern to the public. Both Petersen and Williams are concerned about this lack of public awareness. But attempts raise widespread awareness of forest health issues seem trapped in a Catch 22. Campaigns to spread awareness cost money, which no one has because people with money aren’t aware of the environmental concerns about forests. As a professional forester, Williams is working in his home state of New Jersey to spur landowners and public officials to address forest health concerns. For his part, Petersen is using his Evergreen Magazine as a voice for forest health, as well as personally speaking with anyone who will listen. “When I’m traveling, I like to talk to people – fellow passengers on the plane, cab drivers, etc. – and they have no awareness of the issues,” he says. Forest health also has been a common theme on this blog. Look through the archive to see my previous posts, including conversations with Petersen and Williams, on the issues of forest health and management.